Whether you’re a novice runner looking to try your first half marathon, an elite runner hoping to shave time off your PR, or anyone in between hoping to recover from a nagging injury, the professionals at Greenwich Sports Medicine have you covered. 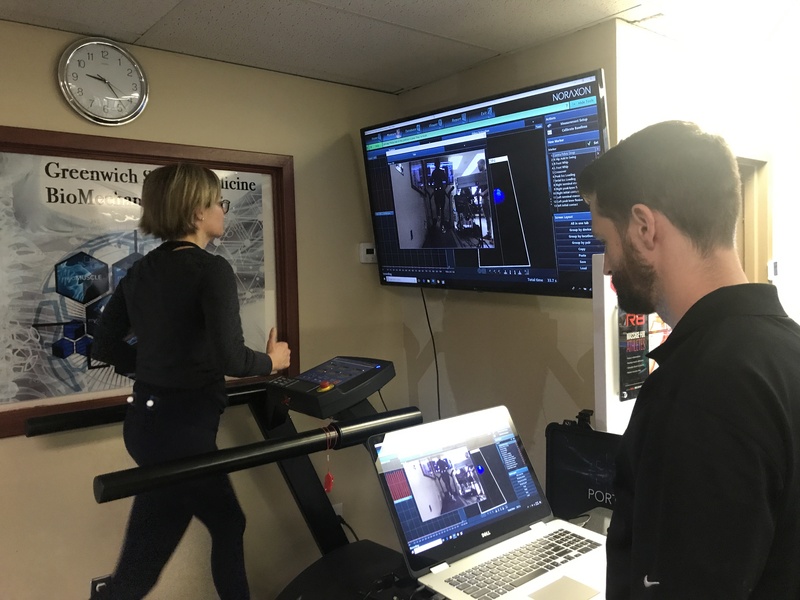 The Biomechanics Lab at Greenwich Sports Medicine is outfitted with the latest technology in running gait analysis. 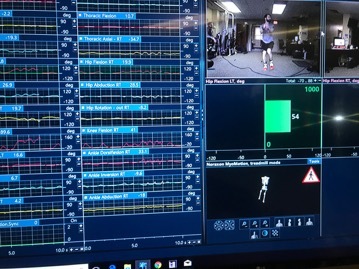 Our lab offers 3D motion capture, footstrike pressure mapping, force analysis, and surface EMG data to assess neurologic and muscular function. Together, these elements help give detailed insight into how a patient is running and what biomechanical changes might be made. The running analysis at Greenwich Sports Medicine Biomechanics Lab is perfect for runners of all levels. With our technology we can assessthose currently dealing with an injury, those looking to improve performance, or those hoping to get started with running their first 5k and up. An initial visit for those scheduling a Running Performance evaluation will be thorough and all-inclusive. You’ll first be booked for an hour-long 3D gait analysis with Dr. Svac, the head of our Biomechanics Lab at GSM. This will include any running and treadmill related biomechanical evaluations that are deemed necessary at that time. A 30-minute follow-up consult will be scheduled with Dr. Svac to discuss the findings of your gait analysis and a therapy plan will be determined at that time. You will also be scheduled for an evaluation with one of our treating doctors who specialize in sports medicine in order to take a detailed history and perform an further testing that might be warranted. Should it be necessary, treatment will also be included in this initial doctor visit. After this first round of evaluations and testing, an all-encompassing treatment plan will be customized for your individual needs, basing our decision making around your current status and goals going forward. Any gait retraining, rehabilitation, or hands-on therapy will be carried out from that point forward and regular re-evaluations will be scheduled.